Studying Biology at Leeds will provide you with a comprehensive understanding of genetics, immunology, microbiology and other key disciplines as well as giving you the flexibility and choice to explore areas such as plant growth, conservation biology, population genetics, bioinformatics and many more. Our integrated Masters offers you an additional year of specialist training. You’ll be introduced to advanced topics such as Host-Parasite Interactions and Infection Diseases. Biology impacts on everything from global warming and climate change to the challenges associated with a growing world population and its impact on the environment, food security, medicine, health, disease and an ageing population. New technologies, including genomics in medicine, gene modification and biotechnology and digital sensing are transforming the world around us and the way we live. You will be equipped to understand and push forward these new developments, with the skills and knowledge of the fundamental biological processes required to make the future advances. Practical experience and fieldwork. Practical modules include Practical Genetics, Parasitology and Field Course options. 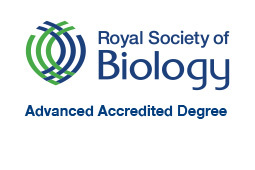 Both our Integrated Masters (MBiol) and BSc with Industrial Placement Year courses have been awarded advanced accreditation by the Royal Society of Biology for the purpose of meeting in part the academic and experience requirement for the Membership and Chartered Biologist (CBiol). The modules taught in Year 1 reflect the complexity of life forms, from molecules through to organisms, plants and animals, to populations. A set of core modules will allow you to develop your skills in research and analysis and introduce you to the disciplines of immunology, microbiology, genetics and cell biology. You’ll gain an understanding of the chemistry underpinning biological processes, the different types of cell and how they come together in human tissues, organs and body systems, as well as how they are affected by disease. You’ll also choose an optional module on a specialist topic from agriculture to pharmacology, which may help you choose your specialism for the next two years. There is a residential field course on Millport, on the Isle of Cumbrae, Scotland where you will study coastal and upland habitats, and our research ethos is developed and fostered from the start through practicals and tutorials. Because of the broad nature of your first year, there are opportunities to transfer between the Biology, Biological Sciences and Microbiology courses at the end of the Year 1. In Year 2 you can take modules in the disciplines of applied biology, genetics, zoology, plant biology and ecology, which include human genetics, evolution, animal behaviour and parasitology. There are optional Yorkshire Dales and Mediterranean field courses. This degree offers the opportunity to take an industrial placement or a study abroad year at the end of Year 2, which will enhance your employment prospects. 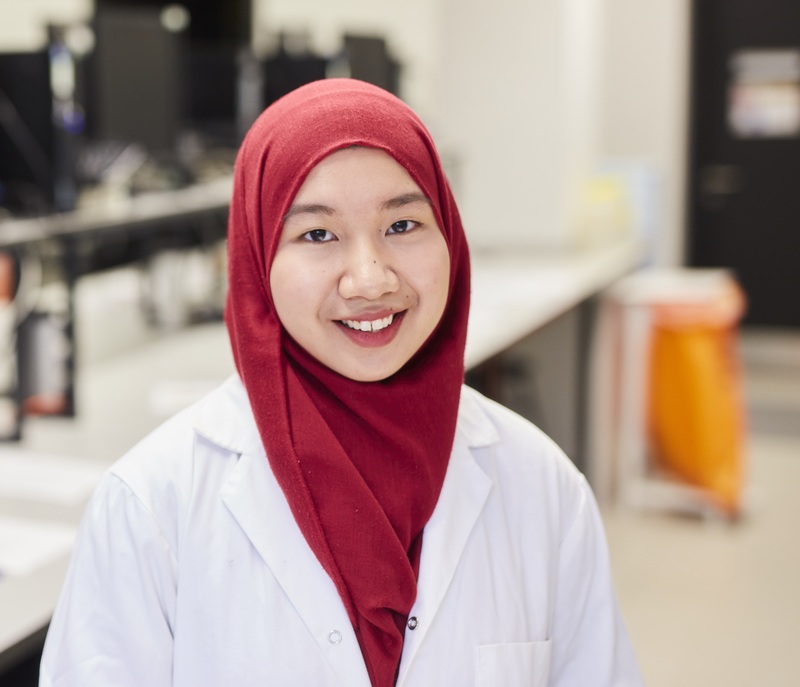 By the time you enter Year 3, you’ll be in a position to apply your research skills to an independent project: working with our world-class scientists, you’ll explore a specific topic in depth as a research, literature or computer-based project. You’ll also study topics at the cutting edge of biological discovery in areas such as epigenetics, behavioural ecology and conservation biology. There is also a popular optional South African field course. In Year 3, you’ll undertake a practical project which aims to introduce you to increasingly sophisticated techniques and research facilities in preparation for your research project. In your final year, you’ll be able to select from a variety of Masters-level optional modules that are informed by our tutors’ leading research. You could build your skills in statistics or study medical diagnostics among others, while the African Field Ecology module gives you another chance to apply your knowledge to fieldwork in Kenya. Most of Year 4 is devoted to a research project, allowing you to work alongside our experts to explore a specific topic in biology. This helps to develop the high-level research and professional skills that will serve you well in your future career. We use a variety of assessment methods to helpyou develop a broad range of skills. These include practical work, datahandling and problem-solving exercises, multiple-choice tests, group work,online and face-to-face discussion groups, computer-based simulations, essays,posters and oral presentations. Pass 60 credits overall with 45 credits at Level 3, graded at D45M0P0 to D39M6P0 including distinctions in Biology and Mathematics or Chemistry. Applicants with BTEC qualifications (Diploma or ExtendedDiploma) are required to have A2 level Biology (Maths, Chemistry and Physics may be acceptable alternatives depending on the BTEC subject). Distinctions in the BTEC subject and an A or B grade (BTEC subject dependent) for the A-leve lsubject are required. Advanced Higher: 5 x Highers AABBB, with AA-AB in 2 Advanced Highers including Biology and preferably another science or science-related subject. General Studies and Critical Thinking excluded. If Biology is the only science subject then an A grade is required. Science subjects include: Biology, Human Biology, Chemistry, Maths and Physics. Science- related subjects include: Computing, Environmental Science, Geography, Geology, P.E, Psychology, Science in Society, Statistics, Food Science and use of Maths. Our graduates have, for many years, experienced high employment rates and a high proportion quickly gain employment upon graduation. With the expansion of the biosciences comes the generation of new and varied career opportunities. Our biology students graduate into many different careers, including the pharmaceutical industry, agribusiness, conservation, environmental consultancy and education. Many graduates go on to specialise through further study such as a Masters or PhD.